"Cometh the hour, cometh the man". These are the six words double amputee marathon runner Richard Whitehead has tattooed on his right arm and if one were to try and describe the inspirational athlete from Nottinghamshire in just one sentence, this phrase perhaps provides an accurate summary of a truly remarkable character. On July 19, 1976, Whitehead was born without lower legs but this is a fact that has never seemed to stop him achieving almost anything he has put his mind to. From an early age, it was clear to all that Whitehead was an exceptionally talented athlete that did not appear to be remotely hindered by his disability. 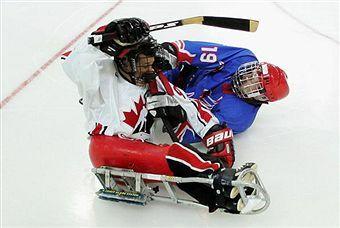 He participated in gymnastics and swimming at a high level and then took up the sport of ice sledge hockey shortly after leaving school. Whitehead in fact turned out to be so skilled at the discipline that he went on to represent Britain at the Turin 2006 Winter Paralympic Games. But it was actually in 2004 that Whitehead found his true passion in a sport in which he would go on to excel beyond all expectations. "Being a double legged amputee, it was clear to me that one of the hardest challenges out there would be to run a marathon and I really enjoy taking on tough challenges," Whitehead told insideworldparasport. "Before 2004, I had no competitive running experience at all because up until then, the technology for prosthetic legs was very expensive. But as a youngster, I was inspired by a Canadian athlete called Terry Fox. "Terry became a single legged amputee after a battle with cancer. After losing his limb Terry attempted to run from East to West of Canada. His strength and determination was inspiration and showed that with a big heart and the will to succeed, you can overcome barriers put in front of you. "So after making the decision to run at the start of 2004, I entered the New York Marathon which would take place 11 months later. It was my first competitive race so I was slightly nervous about what I could do. I was also very unsure about what kind of reaction I would get from the public. It’s not everyday that you see someone running outside with no legs and I wanted to be accepted at races I participated in as an athlete and not to be singled out as a disabled runner." Whitehead finished the race in the respectable time of 5 hours and 18min while raising £1,500 for Macmillan Cancer. It was clear from the time that he was a decent marathon runner but no-one, not even Whitehead himself, could have predicted what would come next. He began to work with elite British long-distance runner Liz Yelling - a former training partner of world marathon record holder Paula Radcliffe and who competed in the 2004 Athens and 2008 Beijing Olympics - and slowly but surely, his times started to improve. "Liz has been great for me both as a coach and as a friend," Whitehead revealed. "As a world-class marathon runner, she knows what I am going through and always knows the right things to say to me at the right time. Liz has probably been the single most important factor in my dramatic improvement and I can’t thank her enough for how much she has helped me." In 2006, Whitehead was running the 26.2 mile marathon distance in just over four hours and by 2007, he had reduced that time to just three-and-half hours. During the same period, he was also regularly competing in half marathons as well as ultra marathons up to 56 miles. Whitehead continued to improve his times during 2008 in both the marathon and the half-marathon but it was in 2009 that he really started to make people take notice of him. At the 2009 Maratona Di Roma in Italy, Whitehead became the first amputee to break the three-hour mark as he completed the race in 2:56:45. Whitehead then broke his own world record by six minutes at the Chicago marathon later that year and in the same 12 months, he twice broke the half marathon world record - in Bath and then Bristol - by running an astonishing time of 1:18:47 in the latter. Earlier this year, the 33-year-old again broke his own amputee half marathon world record in Wokingham as he recorded a time of 1:17:45. What makes Whitehead’s feats all the more impressive is that he receives zero funding from UK Athletics. Whitehead works full time as a Sports Development Officer and bases his training around his work. "I get fantastic support from my employers who understand my ambitions and goals and provide me with a flexible work environment," Whitehead said. "But ideally I would love to be a full-time athlete. Without funding from UK Athletics, I am left with very demanding schedule as I am usually on the move all day in my job and then I have to go out and run after all of that. But I am so determined in achieving my goals that I am willing to make big sacrifices." And right now, the number one goal for Whitehead is London 2012. 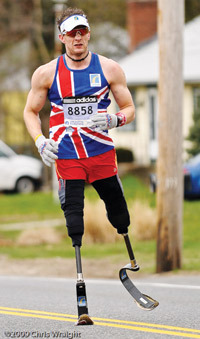 However, there is actually no marathon event for leg amputees at the Paralympics at present so in order for Whitehead to compete at London 2012, he is going to have to qualify in the T46 disability category against arm amputees (where he faces an obvious physiological disadvantage). The ‘A’ standard qualifying time for the T46 marathon event at the 2011 International Paralympic Committee (IPC) Athletics World Championships is 2 hours and 35 minutes and while the ‘A’ standard qualifying time for London 2012 has not yet been revealed, it is likely to be a very similar time (if not exactly the same). This means that Whitehead will almost certainly have to break the 2 hour and 35 minute mark in order to compete in the London 2012 Paralympics. It is no doubt a tough target but one Whitehead feels he is more than capable of achieving. "When I first started marathon running in 2004," Whitehead recalls, "it took me over five hours to run 26 miles and if you then look at the times I am running now, I have taken over two hours off my time which is tremendous. At the rate I am improving, I think I can make the qualifying time for London 2012 but I don’t want to go to the Games just to make up the numbers, I want to be a top contender. I want to earn my place and make it very difficult for UK Athletics not to select me." 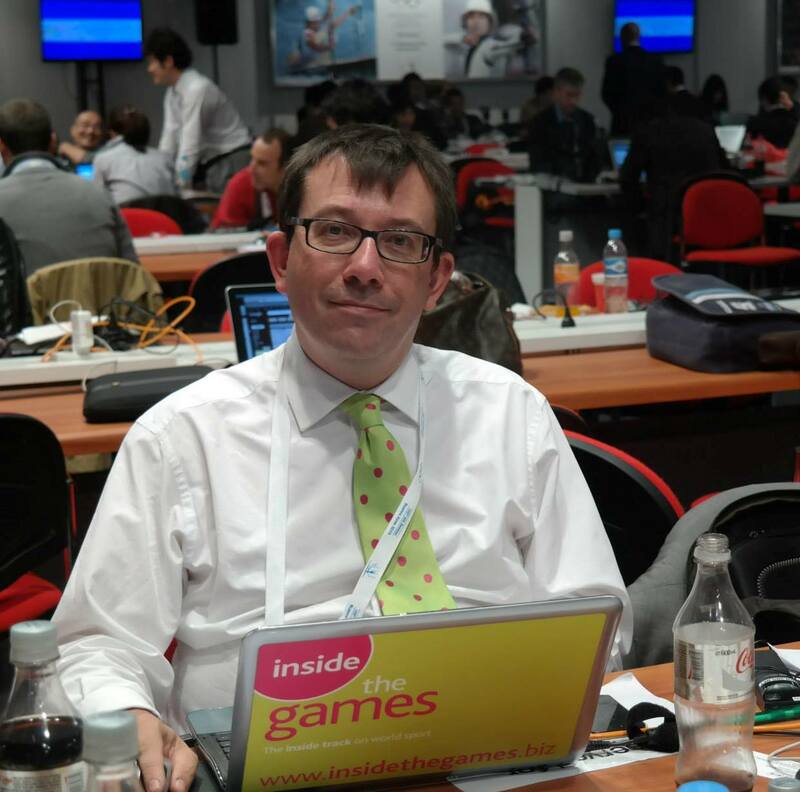 Having competed at the 2006 Winter Paralympics, Whitehead knows just how special the atmosphere at a Paralympics Games is and that is a major reason why he is so determined to compete at London 2012. "Turin was fantastic and it was such a great experience sampling the atmosphere and seeing how much support the home athletes received. I know that in London in 2012, it will be incredible to compete as a British athlete and receive home support. "The Games will be such a massive event and such a huge boost for London. "There are so many different cultures and religions in London that will all be bought together in 2012 through the power of sport and that is why 2012 is something you have got to be involved." For now though, Whitehead is focused on improving his times and solidifying his status as the fastest man on no legs. "I’m officially the fastest double leg amputee in the marathon event and I like to joke with Oscar Pistorius [the famous South African Paralympian referred to as the ‘BladeRrunner’] as he is known as the fastest double leg amputee and the fastest man on no legs. But that is only up to 400 metres; I’m the fastest on anything over 400m! "But in all honesty, I hope that guys like me and Oscar can break down barriers and raise awareness of disabled sport. I hope I can be a true inspiration to everyone out there and show that no matter what hand you’re dealt in life, it shouldn’t hold you back. I really want to do more work in schools and with young people and I hope that if people can see what I have done, they will be inspired to go on and achieve their dreams as well." With his great self belief, huge determination and immense talent, it is fair to say that the London 2012 Paralympics will be a better event with Whitehead in attendance. It will not be easy for him to make the qualifying time or to impress the UK Athletics selectors in the short space of time left before the Games take place but if anyone can overcome yet another obstacle to compete at the world’s greatest disability sporting event; it is Whitehead. After all: ‘"Cometh the hour, cometh the man."